Kristin Glenn is the founder of Seamly.co, a USA-made clothing company using responsibly-sourced fabrics. Based in Brooklyn, Seamly.co inspires women to make educated choices about their clothing through storytelling, community, and an interactive design process. Kristin's interest in locally-made fashion was sparked after learning that in 1990, we made 50% of our clothes here in the States, but by 2011 only 2% of clothes bought in America were made here. 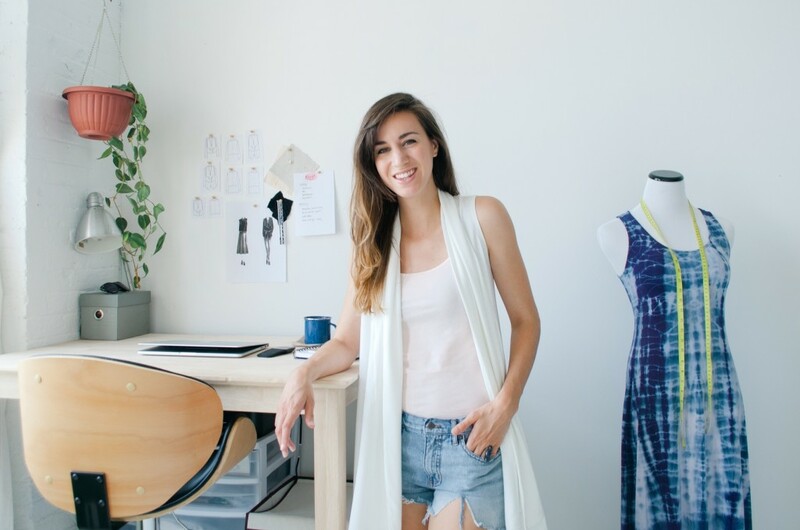 In 2012, she and her partner Shannon launched the most successful fashion project in Kickstarter's early history for a garment they had designed together, called the Versalette - a single piece of clothing that can be worn over 15 different ways, made in the USA with 100% recycled fabric. And Seamly was born from there. In this episode, Kristin shares the story of how Seamly came to be (super interesting since her education and background weren't in clothing design), what it's been like to grow the business, why she's spent time intentionally not growing the business, how her customers help choose each new piece of clothing, how her industry misuses the word "sustainable", work/life balance, her struggle with imposter syndrome when calling herself a designer, and so much more.